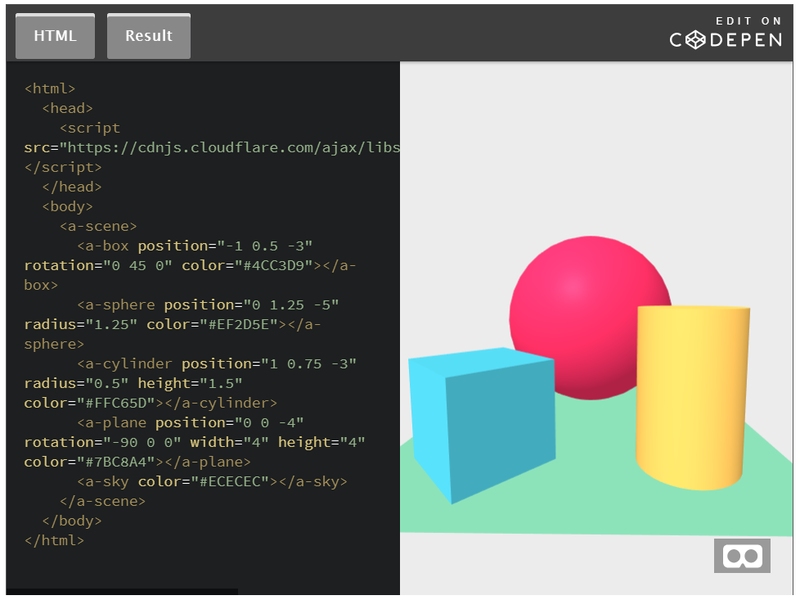 Philly-based halolabs.io lead dev Or Goldfus compiled a really handy list of web technologies capable of “building engaging Augmented and Virtual Reality experiences” – from a glossary of terms to Three.js to some quick backstory on the WebGL Working Group, and more. A few months ago I joined Halo Labs to help build our AR/VR design and prototyping platform. After the first interview, I received a “take home” exercise, to build a simple VR scene. While I was excited to build a VR app for the first time, I was also a bit afraid. I’m coming from a web development background and I never worked on a VR project before. To my surprise, it took me roughly three hours to finish the exercise, and it even looked pretty good (well, at least to me…). VR product using Web technologies, I got puzzled looks. The first annual WebXR week will take place in two weeks, and I thought it’s a great time to show web developers that VR & AR + Web technologies = ❤. The main goal of this post is to allow Web developers to enter the AR/VR world quickly and easily. The approach I have taken is not to write a guide about a specific technology or library, but rather to build a “curriculum” that will take you from zero to expert, so you would be able to build complex AR/VR experiences. Even if you don’t plan to develop AR/VR experiences, reading this guide will give you a glimpse into the current state of the WebXR world. Let’s begin.